HMD Global is selling the Nokia X71 exclusively in Taiwan and China with a price that equates to around $385 Dollars. This is the first Nokia branded device with a punch hole display as well as the first X-series phone to launch outside China. HMD Global announced the phone earlier today and details can now be found on its Taiwan portal (via Fone Arena). 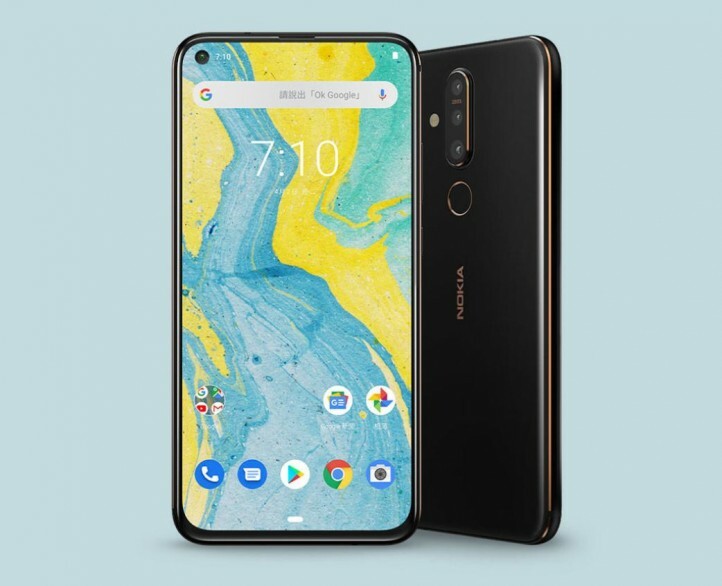 The Nokia X71 features a 6.4-inch FHD+ Punch Hole display with 2316 × 1080 pixels resolution, 1:1400 contrast ratio, 500 nits brightness, 96% NTSC Color gamut. As expected, the Nokia X71 that runs on Android 9 Pie OS is an Android One smartphone. However, there is no word on its availability in other markets. The X71 comes in a glass-sandwich design, something we saw evolved from Nokia 8 Sirocco in Nokia Mobile's lineup. Connectivity options on the Nokia X71 include Wi-Fi 802.11 a/b/g/n/ac, GPS, Bluetooth v5.00, USB OTG, and USB Type-C. That's nothing to stick your nose up at, and it's the centerpiece of a Zeiss triple-camera array that also includes an 8MP wide lens and a 5MP depth lens. Nokia had enjoyed 14 years as the number one global cell phone maker. The Nokia X71 is company's is the very first handset to arrive three rear-mounted cameras. Note that 48MP sensors aren't an automatic guarantee of camera quality, though; you can learn more about them in our 'Should you buy a 48MP smartphone' article. There appears to be only a slightly larger bezel on the chin stopping it from achieving "full-screen" status. Surprisingly, the smartphone will only be available in a single color: Black. Here is all the information on the specifications, features and pricing of the Nokia X71.